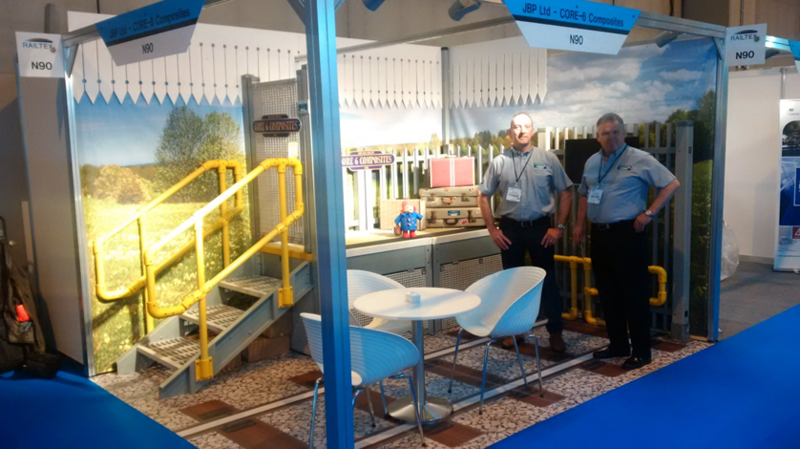 Railtex 2017 was held at the NEC in Birmingham from the 9th to the 11th of May. It was the 13th international exhibition for technological innovation in all aspects of the rail supply market. The Core6 team attended, joining hundreds of companies in showcasing cutting edge and innovative products. It was a well-attended event, offering a multitude of opportunities for networking and appealing to clients from the whole industry. One of the most exciting parts of Railtex is seeing just how many new products are being launched. Producers large and small use the event to reveal what they have been working on. It really is a great opportunity to look at the culmination of all of the research and development that is going on in the industry. Alongside the huge exhibition Railtex featured a programme of keynote speeches, seminars, and open forums. Topics were very broad, covering everything from current trends to opportunities for the future. Being part of Railtex offers plenty of benefits. It is a chance to demonstrate products, such as the Core6 GRP, to a wide audience of businesses who may find a multitude of uses for them. According to data from the event organisers a huge 96% of exhibitors receive positive enquiries at the event. Many of these can translate to sales. At Core6 we look forward to the next instalment of Railtex. Every year the exhibition grows, attracting more exhibitors and visitors too. We are proud to be part of it, taking the opportunity to showcase our GRP and the array of applications for it.